It’s a hard pill to swallow when you miss a release. Strictly aligning itself with the highest quality electronic music, the contemporary label Furthur Electronix proves itself to be one of the most exciting labels of the moment. The UK imprint not only showcases music of the highest quality but interestingly offers an insight into one of the biggest and deepest diggers out there. If anybody could come close to completing Discogs, it would probably be label-boss Anil Lal. The man has an ear for a record like no other, his love for old obscure electronic music shines through Furthur Electronix’s releases. Following a first strong release with “Analog~1 - Elements EP” just over a year ago, FE has continued to present the highest of standards. Releases from the likes Cignol, Brainwaltzera, U-Zig’s Tusken Raiders and The Kosmik Kommando are just a few names that give you an insight into the exquisite and obscure tastes of Anil Lal. When asked about the vision he started the label with, he interestingly explained to me how his idea was and continues to be to release music he’d personally want to have in his collection. For a typical electronic music label, this method of operation doesn’t necessarily guarantee high quality results, but for somebody who has exquisite taste all is well. The influence of old labels such as Skam, Rephlex and Warp (early) are very apparent with both Furthur Electronix’s aesthetic and the way the label operates. These obscure IDM labels share a common denominator in their ‘mysteriousness’, a characteristic that makes it hard to bag every release. In the label’s earlier days, each release on FE would be intimately placed on Bandcamp following a small announcement on Facebook, one that would inject a rush of adrenaline for all those trying to add the latest release to their collection. Anil’s approach set out to create a fair way of buying records, and can perhaps be described as a throwback to the nineties through an inherent dependence on you being in the right place at the right time. If you weren’t, too bad. Twenty years ago you’d have to head down to your local record shop, whereas now you just have to be on Facebook / Bandcamp at the right time. Neither is more ‘apt’ or ‘wrong’ in my opinion, it simply represents the age we live in. However, with the internet at our disposal labels operating in this way are susceptible to hype. This means that it’s easy to miss one of the highly sought after releases. You basically have to amicably take it on the chin or otherwise wander over to Discogs and pay the highly inflated price for a record which was originally purchased for £15. In attempting to keep people happy, Anil has since started distributing through Subwax rather than solely relying on Bandcamp distribution. He tells me that he isn’t necessarily against the idea of repressing, rather he finds the frantic repressing by certain labels as somewhat “boring”. For him, a repress on FE would include a different track, or even different artwork to implement an element of difference. Lots of people missing out on particular releases inevitably to leads frustration, frustration which has quickly taken the form of negativity and criticism towards Anil. 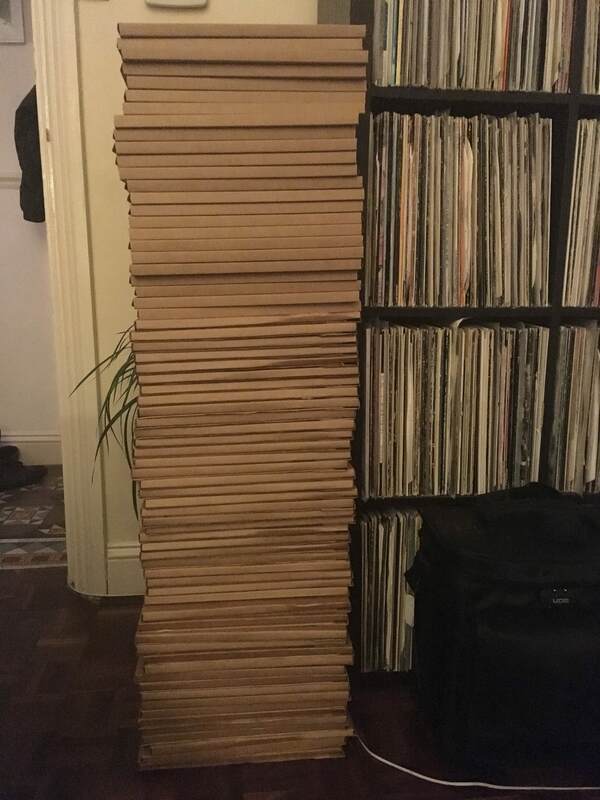 Unsurprisingly, the negative comments on FE’s Discogs tends to come from all those who are bitter about ‘wrongly’ missing out on his records. The people who get the most angry are usually the “sharks” or those collectors who can’t cope with the idea of “not being able to own everything”. It’s easy to see why people are getting so bummed out when each release is getting flipped for anything between £50 to £100, but it’s hard to see why these angry customers direct it all at Anil when he actively takes precautions to combat the “sharks”. Anil also has no problem with digital releases on FE. He released Brainwaltzera’s “Blewblum” both digitally on vinyl, along with U-Ziq’s Tusken Raiders release on Bandcamp. For his new release, “The Kosmik Kommando - 4 Tabs EP”, he’s considering writing the 150 names of all those who will have purchased the record upon release. Not only does this offer a nice personal touch, but it simultaneously attempts to weed out those who regularly buy records on Furthur Electronix solely to capitalise. Perhaps we’re now beginning to see vinyl fetishism rear it's ugly head. However, it’s clear from the label’s releases, Anil has devoted his uttermost in ensuring every release is to the highest move standard on Further Electronix. Succeeded he has. 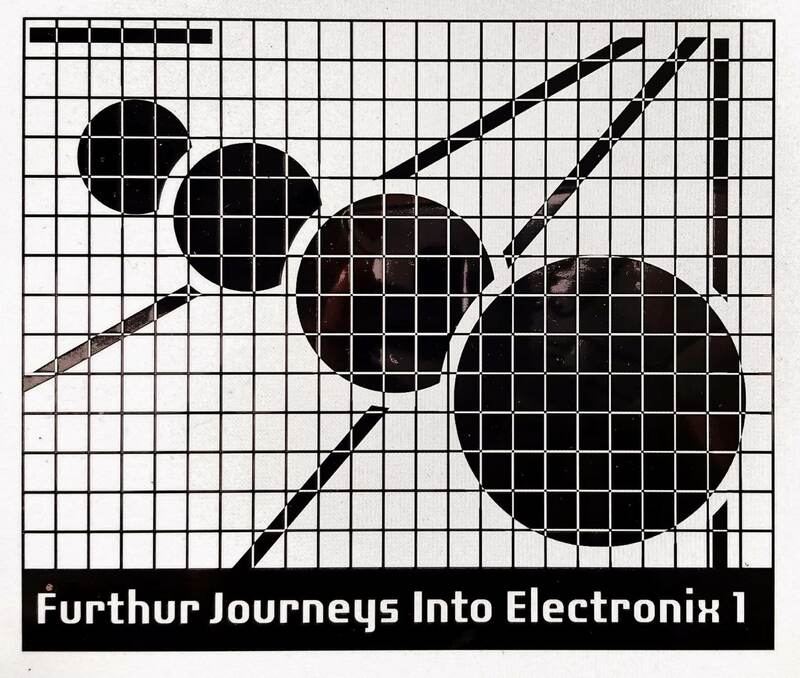 Visit the Furthur Electronix bandcamp HERE.